After going a few months without holding an auction, the studio has become rather full. 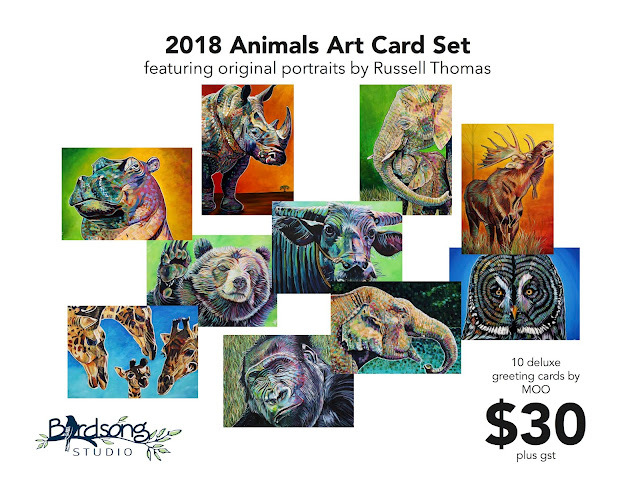 To that end, I put together and launched the Art in August online auction that will go until Sunday, August 12th at 9 pm MST. You can register for free, view the items, and bid by clicking here. 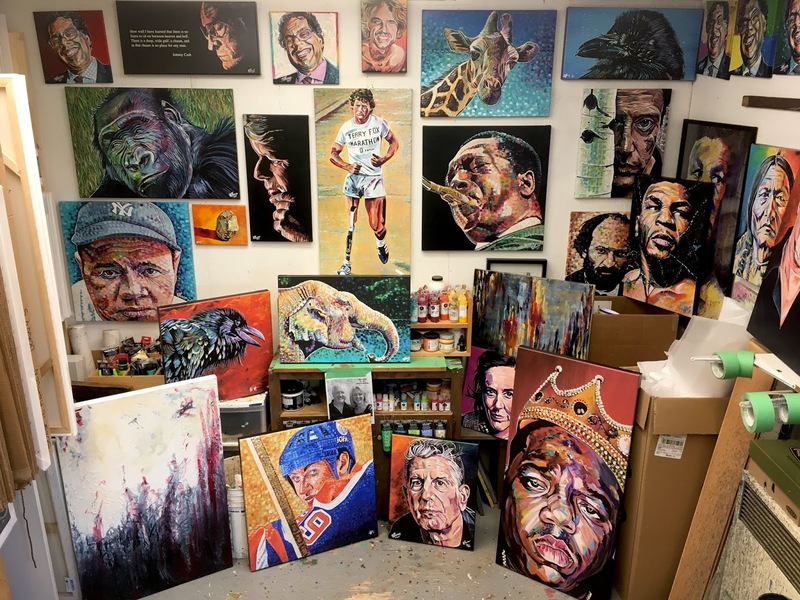 There are some really cool pieces in this one including the large portrait of Babe Ruth, Ishmael the gorilla, and Kollie the Emu. 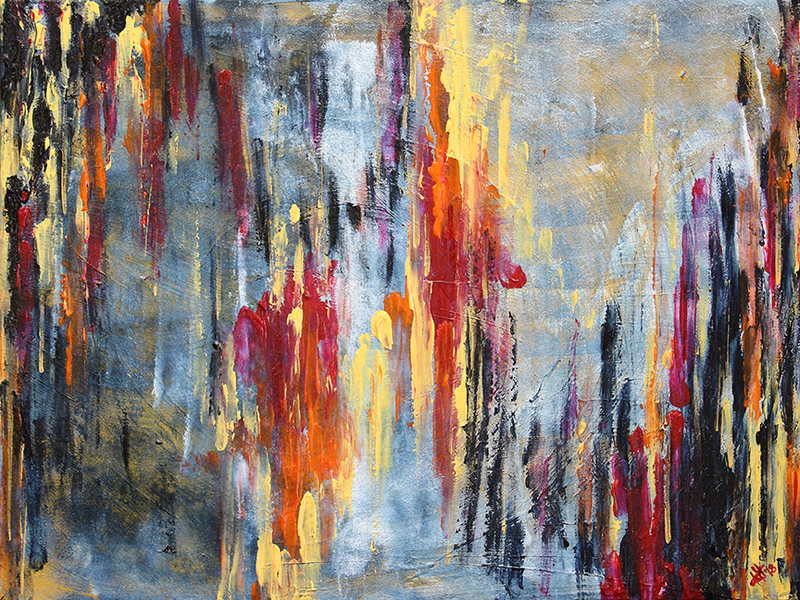 There are also two abstract works done by my amazing wife Heather. She has a gift for playing with colour, textures, and techniques. She has also learned a few tricks from our friend Stan Taylor down in Calgary; he has grown into an outstanding abstract artist. Her first piece was done while we were on evacuation back in 2016. Calgary was our home base, staying at Heather's brother's place, and Stan lived just a few blocks away. 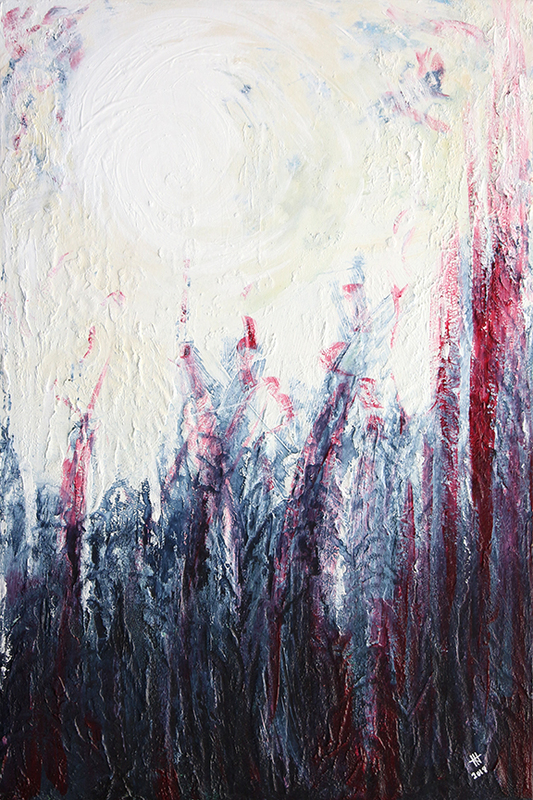 We spent an afternoon one weekend learning about some of the ways that me makes his fascinating abstracts. She got started on this piece that day, worked on it after we got home, and again quite recently. The second piece is the result of several painting sessions, with different layers creating two different sets of patterns. 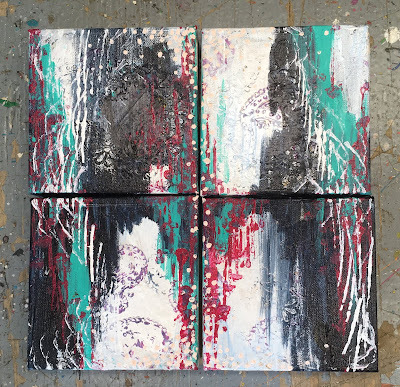 A four panel set will be added to the auction in the next few days. She has been playing with these, off and on, for severals years. I always ask myself the question of what is the painting that is hardest to let go. This time around it is a toss up between Ishmael the gorilla and John Coltrane. Babe Ruth would be very close behind those two. I've also had the Paul Cézanne portrait on the wall for quite some time and have become very attached. 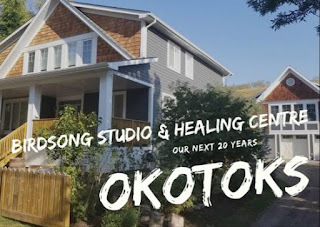 I also included the paintings that resulted from the 9 Days with Nenshi project. My intention has always been to donate these works to a charity in Calgary, as they feature their popular mayor and that city was so kind to our family during the evacuation period in 2016. However, that handover to a charity just never came together. So, I'm offering them for sale, with a staggeringly low starting bid, in hopes of finding them homes. 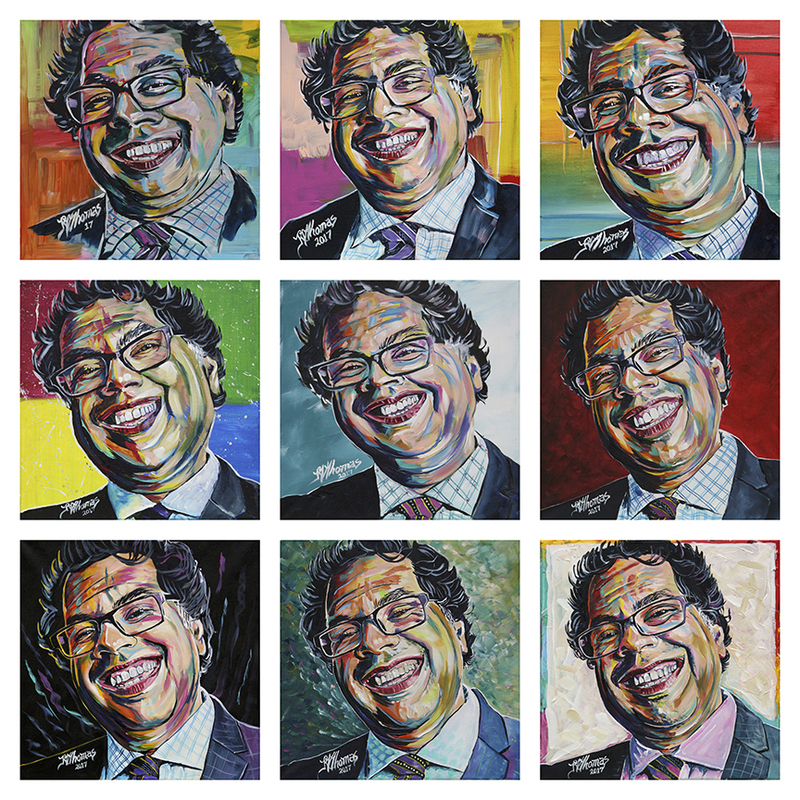 All proceeds from the sales of the Nenshi portraits will be donated to the United Way of Calgary and Area. Other specific charities being helped with pieces in this auction include Some Other Solutions, United Way of Fort McMurray and Wood Buffalo, and Bracelets For Buildings.